A few people have asked me: Why/how did the Zebra get away. 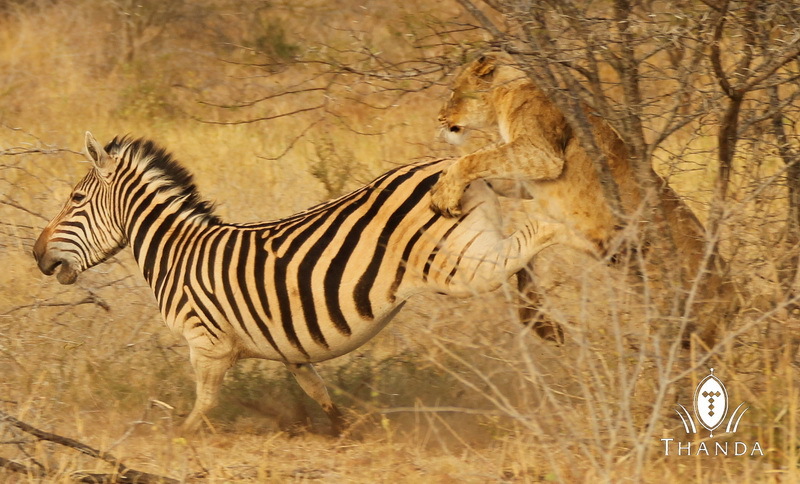 This shot is a bit out of focus, but I thought it is worth posting it to illustrate the strength of a Zebra. Ouch! Happy for the Zebra, sad for the lion. Loved the whole picture story! Wondering if it is normal for the lions to chase the vehicle? Thought they pretty much ignored them. 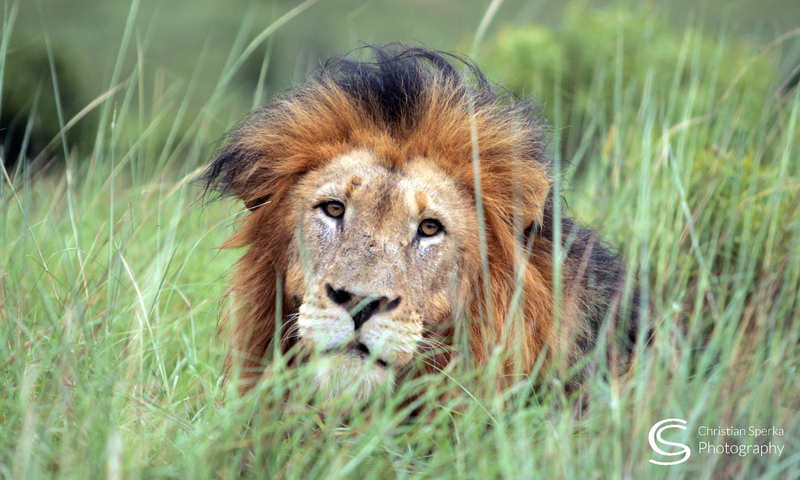 When I drove on one of the main roads of the reserve I got very close (and moving swiftly) to the lions (which I could not see in the high grass next to the road). They were startled and shot out of the bush to pursue the “intruder”. As soon as they realized it was a moving car they stopped their chase. Looks like the Zebra gave her one good power kick to the belly. Just when you think theres no hope, the scene can change in the blink of an eye Lucky Lucky Zebra. Great story! Was lion OK from kick? Smart Zebra but how is the lion! Glad you posted the image! Previous PostPrevious A Lucky Friday, the 13th!